I am the only person I know who actually understands and likes LOST. I will be truly upset later this month when the show ends. I believe in extraterrestrials. I hope to meet one before i die. I plan on winning the lottery at some point in the near future. And when I am a multi- millionaire I will build a huge entirely eco-friendly house with solar powered moving sidewalks so that I may continue to be lazy whilst still owning a massive house. My worst vacation ever was to Florida when I was 5. We lost our luggage, got stuck on a day-trip to the Bahamas due to a hurricane, I got heat stroke, was attacked by lizards wearing tuxedos, got an electric burn from a refrigerator and my parents lost me at Disney world(which wasn’t so bad!). Completely true story. 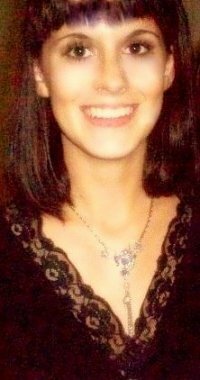 I am currently working on a bridal jewelry order referral from Etsy.com. 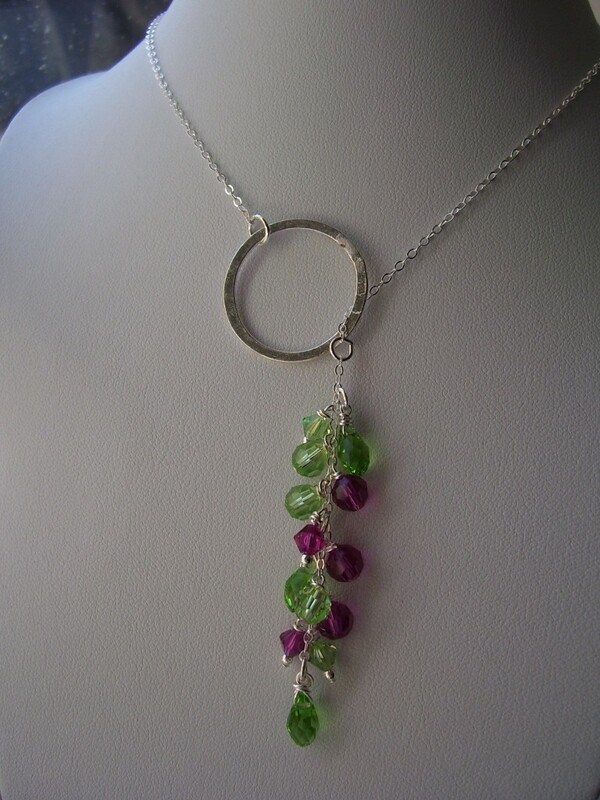 The bride had requested 5 necklaces in peridot and fuschia swarovski with sterling silver accents. I am also working on a bridal set for her. I sent her a few images from my bridal jewelry lookbook, she liked what she saw and hired me within a few minutes. She was wonderful to bounce ideas off of and I am having a blast fulfilling her order. I am a self-taught artist from Brampton, ON, who comes from an entire family of quirky artsy people. 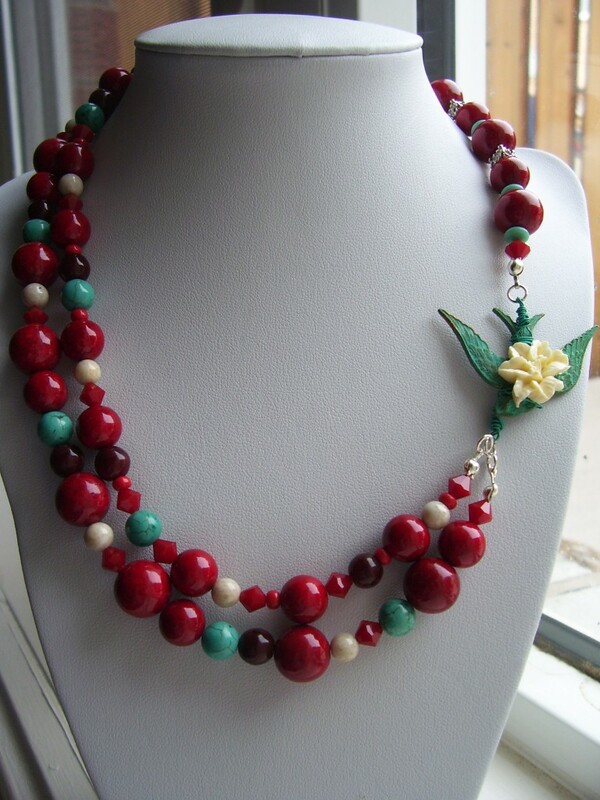 I spent my childhood years helping my mom to sell her crafts at local shows and she taught me various techniques in sewing, ceramic and decorative painting, paper crafts and beadwork. 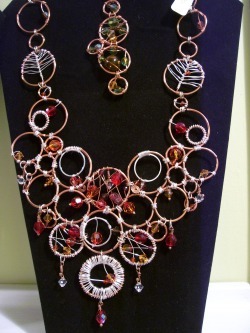 A few years ago, I began making jewelry as a hobby. At first, I wore the jewelry I made and gave some pieces away as gifts. Friends and family suggested I begin selling my work and a few people even bought pieces right off my neck/finger! I then took part in an art fair and from there I was hooked. From that experience, Jungle jewelry was born! I haven’t given up my other crafts either. I still paint with diluted acrylics and cross stitch frequently. I find inspiration everywhere. In movies, at shows in magazines, customers ideas, blogs, works of art… literally everywhere. The best source of inspiration is networking with other crafters and tossing around ideas. 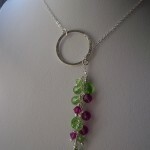 I sell my jewelry online through Etsy.com and artfire.com. I also rent out space at Periwinkle Boutique near High Park in Toronto and am currently negotiating with two other Toronto Boutiques. Lastly, I sell at local craft shows in Brampton and Toronto. Customers can special order custom made items through any of these avenues. The handmade movement is important to me for several reasons. Our love of chain stores and big box markets has and is bringing ruin to our economies (buying foreign contributes to trade deficits and encourages sweat labor) and to the environment (as shipping all of these products long distances releases tonnes of pollutant gasses and uses up valuable fuel. As consumers it is important to be conscious of these hidden catches. So while the product you buy in a chain store may appear to be cheaper than a handmade product, there are hidden taxes on the environment, on the economy and on human rights that when factored in, make that product exponentially more expensive. Next, handmade products are built to last as opposed to the big box item that has been engineered to break down in a set time or to become obsolete (forcing the purchase of a replacement). Quality is an important part of my buying decision. When you purchase a handmade products, you can speak directly to the creator of those products. You know exactly what ingredients went into the creation of said product and you can learn exactly how it was created. Lastly, when you buy a handmade item, you are keeping a small business alive. Small business provide local jobs and make important contributions to the community. They give workers acceptable ways to break free of the oppressive workplace system where an employee is but a number and can be exploited and used up like an expendable resource.